Phil Ivey sure knows when it's good to fold K-K.
What do poker players and business professionals have in common? This week, BlogNews Weekly brings you highlights from the latest 888poker, PokerStars, and Full Tilt blogs. Sofia Lövgren's "Crazy Month" In U.S.
After a "crazy month" spent traveling and playing cash games around the US, 888poker pro Sofia Lövgren published a post on the 888poker Blog to share her experience with the 888poker community. "It has been a crazy month. I spent the first three weeks in Las Vegas playing live cash games and hanging out with friends," she said. "[The] cash games in Vegas during Labor day weekend were awesome and I left the town with a nice profit." 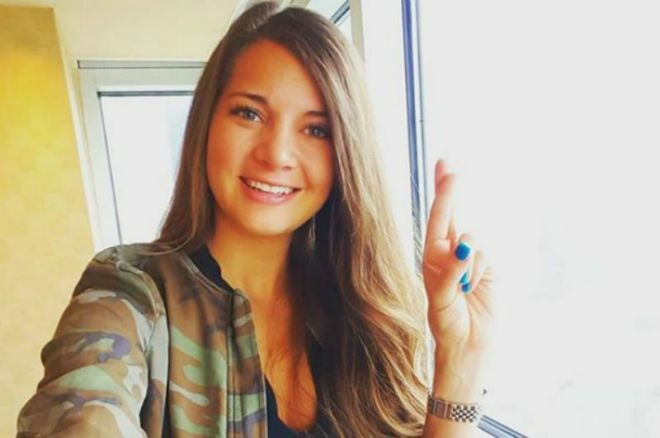 In her post, the Swedish poker pro explains that the cash games in Vegas went so well that she "seriously considered" to skip a flight she had booked and ditch the World Poker Tour Borgata — where she then left the tables "very disappointed" for a $6,500 cash. Head to the 888poker Blog to know more about Lövgren's adventures in the US, check out her photos, and know more about her upcoming trips to Singapore and Bali. According to a new post published on the PokerStars Blog, the world's largest poker site recently teamed up with TEDx speaker, decision coach, poker player, and book author Greg Dinkin to release a free ebook titled All In — Skills for Winning in Poker, Business, and Life. The 74-page ebook — which is part of Dinkin's hardcover The Poker MBA: Winning in Business No Matter What Cards You're Dealt — aims to demonstrate "how the traits of winners translate into business success. By studying how a poker player thinks and executes, you will develop the skills to be a winner in anything you do." Head to the PokerStars Blog to download the ebook for free and discover what Dinkin has to say about being successful in poker, business, and life. This week, the Full Tilt Blog published a great hand played by Phil Ivey and Daniel 'jungleman12' Cates from the PokerStars and Monte-Carlo® Casino EPT Grand Final High Roller event. As you can see from the clip below, Ivey risked very big when the flop gave his top pair dominated by Cates' for two pair. A great read of his opponent's action, however, convinced Ivey to do the right thing and to fold one of those hands that usually cost a big chunk of the stack to many of us.